Tycely Williams (’97) breezes into the room and grabs my hand with a firm shake before excusing herself to greet those lingering to meet her. I watch her sweep through the crowd like a petite force of nature, leaving a string of smiling faces in her wake. She has a knack for making people laugh or smile, although none can match her 100-watt beam. This dynamism defines her on each side of the podium. 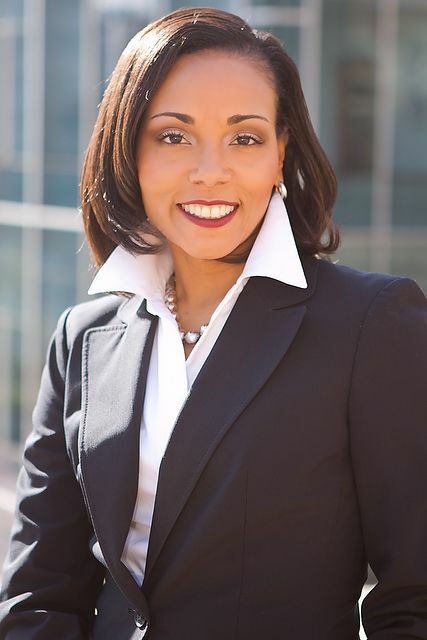 Williams, vice president of development for YWCA USA, jetted back to her alma mater twice this spring for three events: her service on the Greek Alumni Advisory Board, as a headline speaker for students and others attending the 2017 Women’s Leadership Symposium sponsored by the Women’s Center and the Office of Student Engagement and as a keynote speaker for alumnae at WAKEWomen’s Weekend. Over the course of her talks and her time with me, Williams offered advice about leadership, philanthropy and Pro Humanitate, the University’s motto. Growing up in Birmingham, Alabama, Williams seemed destined to lead and to attend Wake Forest. She set her sights on the University at 16 after visiting campus for her high school debate program. Once enrolled she became a sportswriter for the Old Gold & Black, a member of the Lilting Banshees, a Tri Delta sister and a communication major with a journalism minor. She set out from college to build relationships and give back. She ran a community dance studio for four years before returning to her hometown to work for a Fortune 500 company that refurbished and distributed computers to underserved areas. She wanted further personal and professional development, so she moved to Washington, D.C., where she has run an independent consulting agency for fundraising and board development and worked for the YMCA and the American Red Cross before joining YWCA USA as a vice president in 2016. She has volunteered with Monument Academy Public Charter School and the Junior League of Washington, whose chapter she will lead in 2018-19 — the first woman of color to have that role. I asked Williams for one last lesson about leadership. Her answer was simple. It is about “positioning others,” she said, ensuring that those around us have what they need to be healthy and happy. From my experience, she has a knack for that.